Of all the eye-popping, science-based techniques that modernist cuisine has given the world—the gels, the foams, the pea juice “caviars”—sous vide, or temperature-controlled cooking in water, is the one that’s truly useful for home cooks. 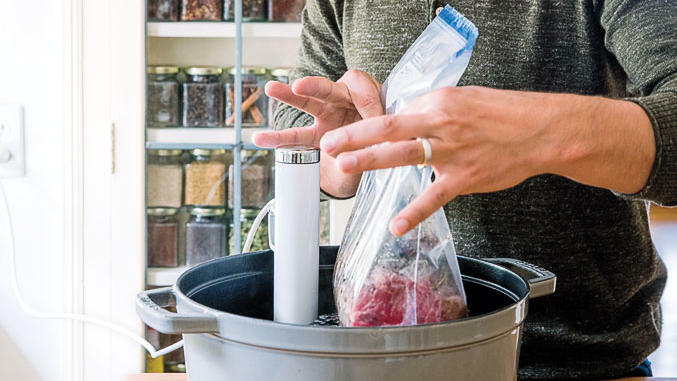 “Sous vide is about making familiar foods more convenient to cook,” says Grant Crilly, cofounder and head chef of ChefSteps, a free online cooking school. 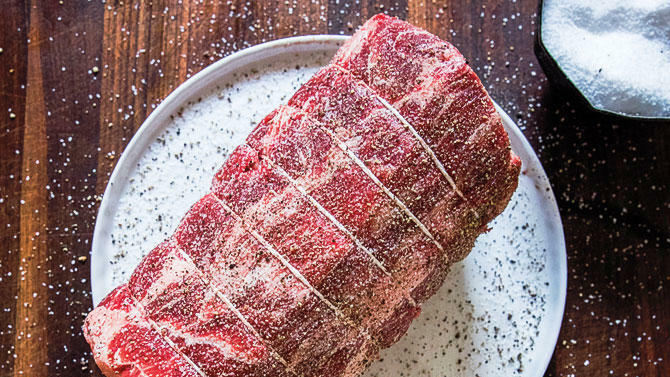 “Because it holds meat at a precise temperature, it won’t get overdone.” During the hectic holidays, that means you can get distracted by guests, seriously overshoot your timer, and you still won’t ruin dinner. While the technique requires buying a special device, it’s worth it. 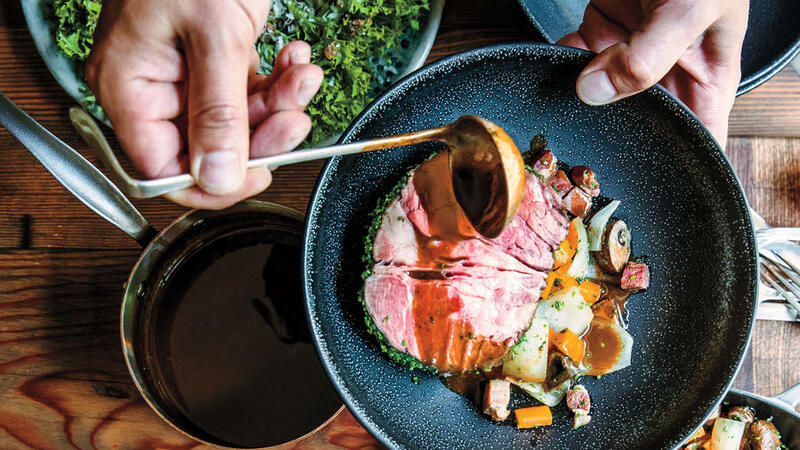 That’s because sous vide has an unparalleled ability to transform cheap, tough cuts of meat, as Crilly recently demonstrated in his West Seattle kitchen. His chuck roast, cooked for 24 hours in a water bath held at 133 degrees, emerged tasting like prime rib. “You get that tenderness and flavor, but for half the price,” he says. With the beef done, and ready to serve whenever, he could focus on making a rich wine sauce and sweet vegetables. And before long, a grand holiday roast was on the table. 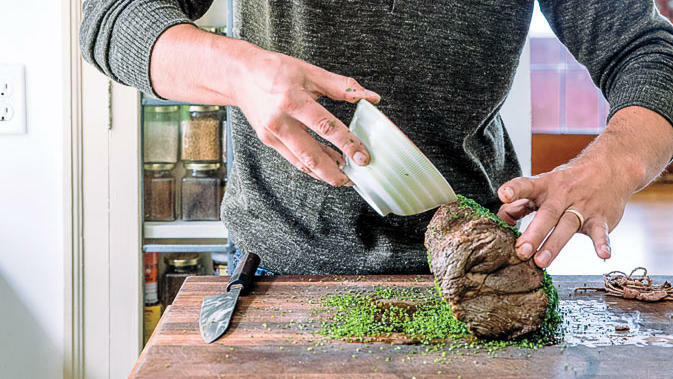 Use the technique below for a succulent roast or to make Beef Bourguignon "Steaks". 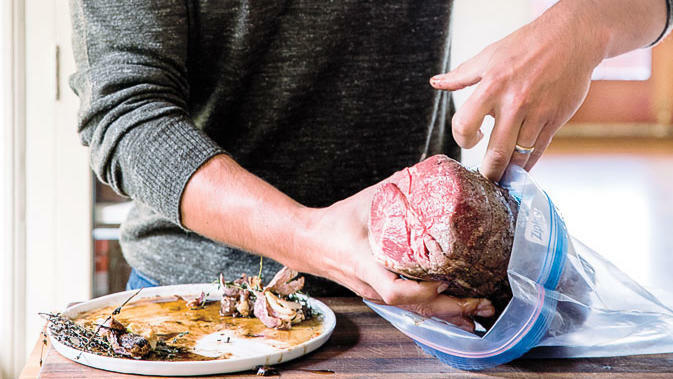 Add meat and seasonings to a 2-gallon resealable plastic freezer bag. “Use a brand name like Ziploc or Glad, and use the heavy-duty freezer type. They’re 100 percent polyethelene and totally inert—no funny chemicals.” Fold top into a cuff—“it keeps the seal cleaner.” Lower the bag into water, opened, just until meat is submerged but opening is above water. 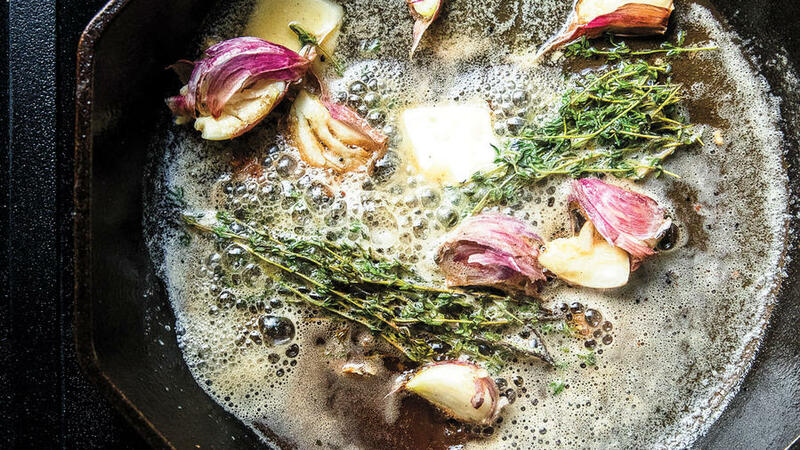 If the bag floats, drizzle in a few tablespoons of olive oil. “It’ll expel the air trapped in the herbs, and that helps the meat sink.” Seal the bag and clip it to side of pot with a clothespin. 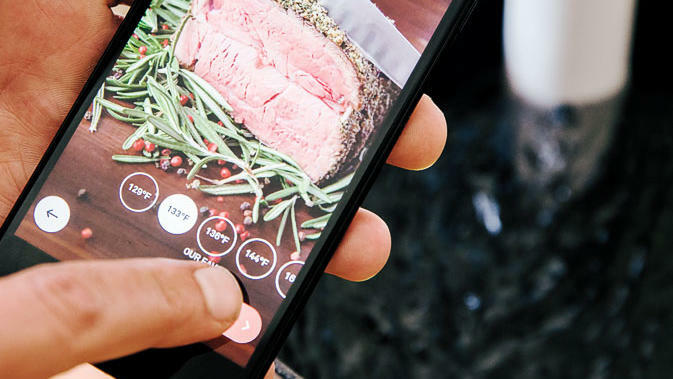 Cook the meat sous vide overnight at your chosen temperature and time. If cooking at the higher temperature, loosely cover pot with plastic wrap to keep water from evaporating.